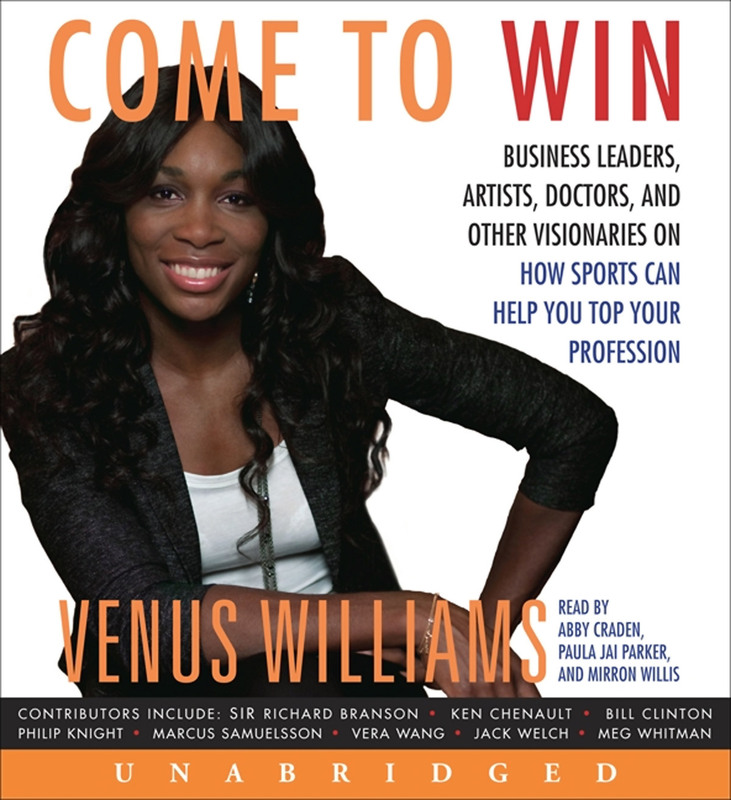 This story is about the time a man with a vision who saw it through to total fulfilment‼ Richard Williams, the father of tennis phenoms Venus and Serena, made the successful journey from a man who self-taught himself tennis fundamentals and then developed two Tennis Champions who changed the women’s game. but only Father knew best about their champion acumen. 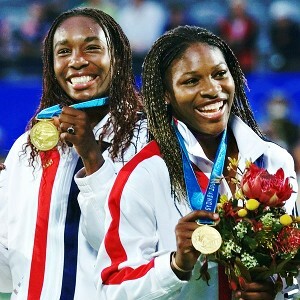 Venus and Serena Williams won their first Olympic gold medal in doubles at the 2000 Sydney Olympics. 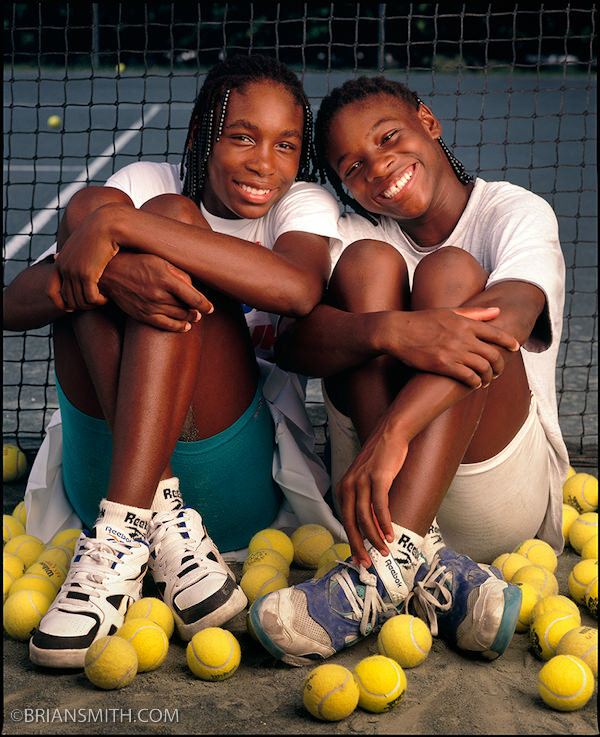 Watch and listen to the Williams Sisters, though adolescents, speak boldly and clearly of their dreams. 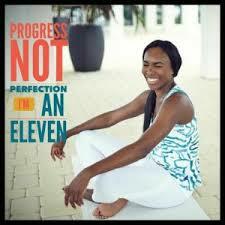 Venus at the time only 12 had won all 63 of her junior tennis matches. And not to be outdone in accomplishments 11-year-old little sister Serena had claimed victory in all but two of her 52 matches. 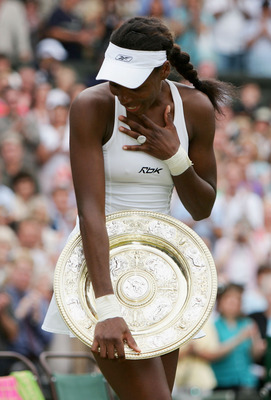 Venus Williams realizes her childhood dream of winning Wimbledon – five times over. 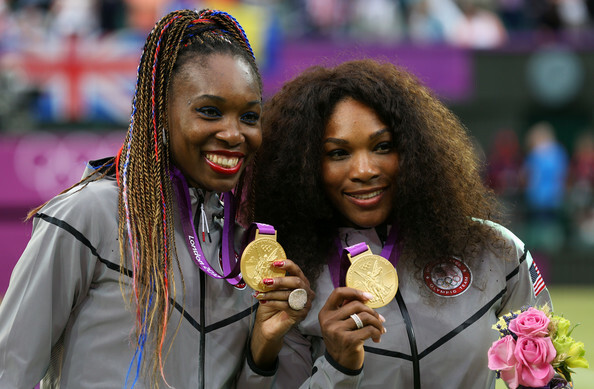 Let’s speak of dreams…the dream of Venus then was to win the title on the hallowed grounds of Wimbledon; and, for Serena, the desire to lift the trophy at the grand slam of her home country, the US Open. The rest is a kind of amazing history, the achievement of both an America Dream along with a father’s belief he had champions-in-the making…still being played out, before our very delightful eyes. 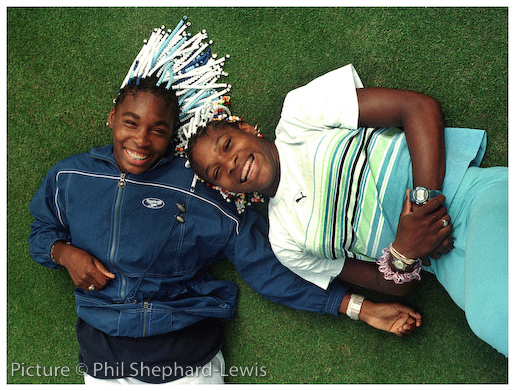 The sisters now in their 30s, continue to stun the tennis establishment and fans the world over. 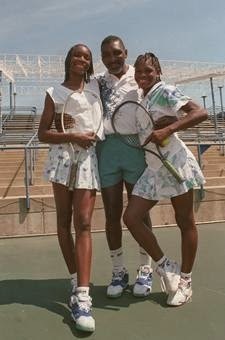 That time the Williams Sisters were Diet Divas. 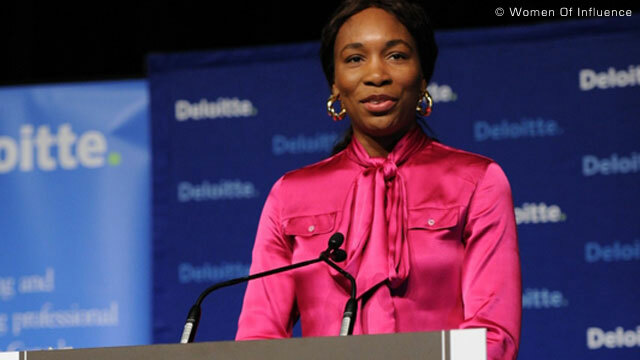 VENUS WILLIAMS…first African American woman to become World#1 in 2002: a Woman of Conviction and a Champion on-and-off the court! Wearing jacket from her OlaCollection▬EleVenByVenus. 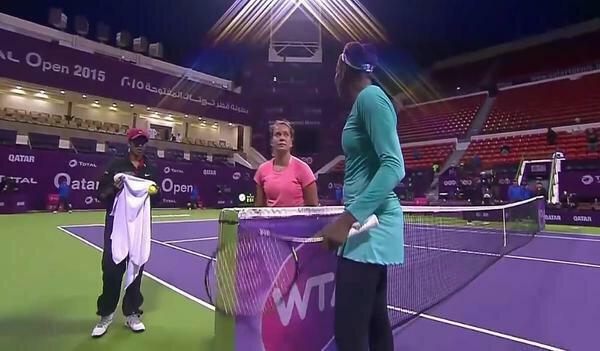 Earlier her sister Serena Williams announced her return this year to the tournament formerly known as “Indian Wells”; as for elder sister Venus, Tennis X.com reports that while in Dubai she stated that she won’t be participating in the 2015 event. “She just said, I might be playing there. I said, Oh, okay. 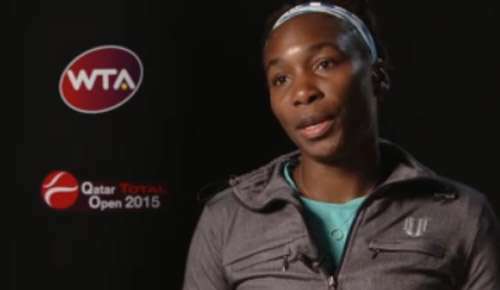 That’s pretty much the conversation,” Venus said. ” I just respect every decision she makes, pretty much. It’s nothing complicated about it. 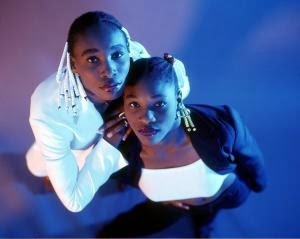 How does little sister feel about big Sis? 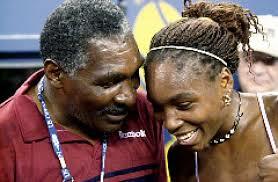 “Papa Don’t Take No Mess” – when Venus Williams showed the world that she is very much her father Richard’s daughter! 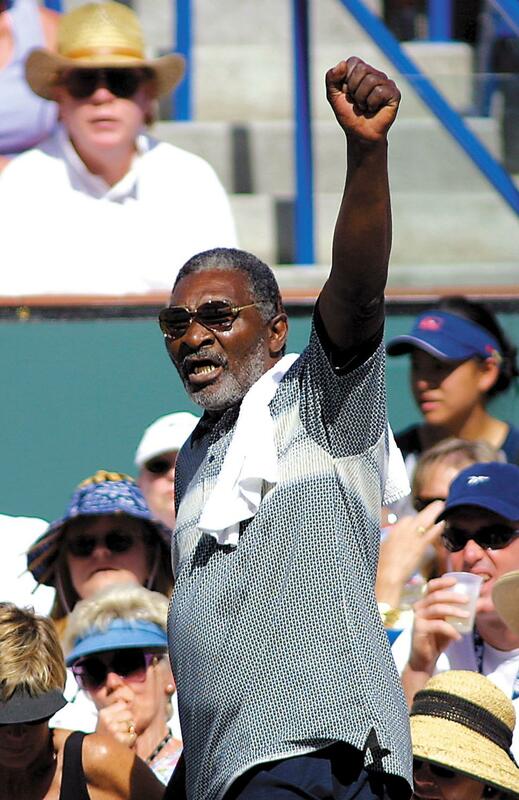 Richard Williams, father of Venus and Serena, gives the ‘Black Power’ salute to raucous Indian Wells fans in 2001. 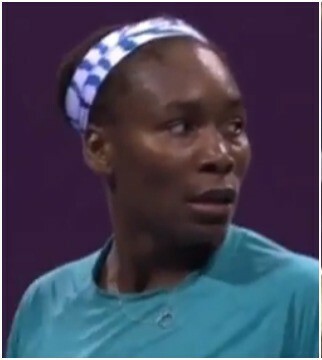 Venus after winning her second round marathon match was met at the net by opponent Barbora Zahlavova-Strycova – apparently upset about some calls that went against her when Venus used the challenge system – was engaging in a stare down. 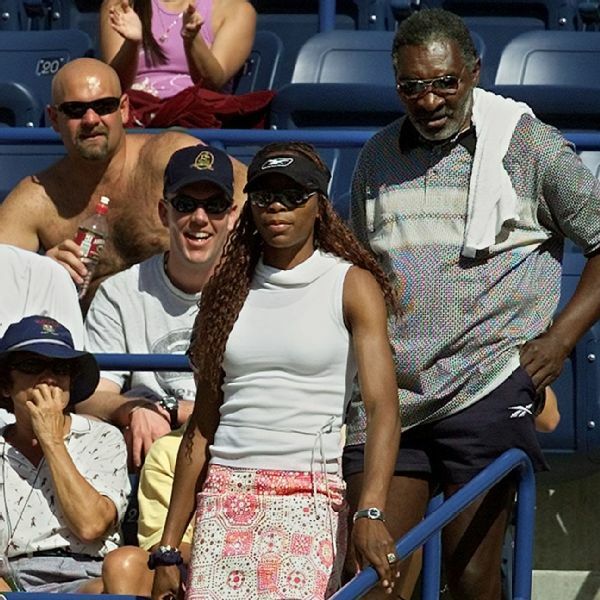 “Was that look for something?” Williams asked. but to all players on tour. 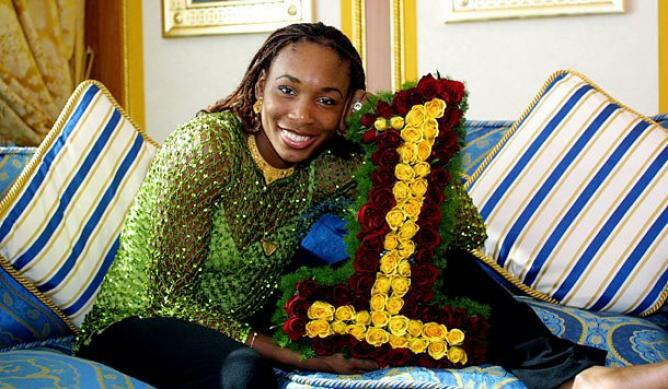 Legendary tennis star Venus Williams will always be known as the first African American player to be ranked number one in the world. (For pros, it’s apparently all about Grand Slams; as winner of seven, including five Wimbledon titles, she has that base covered.) 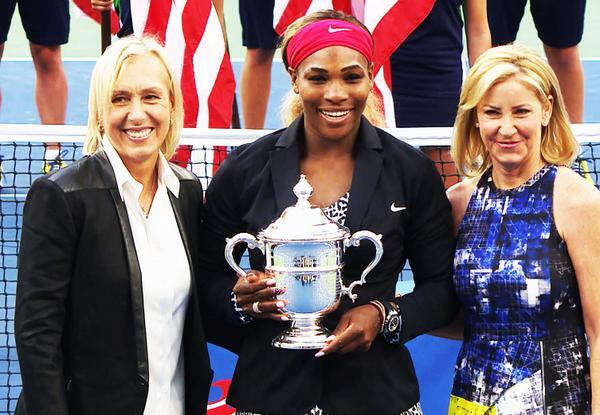 Add to that an incredible 41 WTA tour titles, three Olympic gold medals and career prize winnings totalling in excess of $27 million, and her place in tennis history is – like the woman who earned it – well assured. 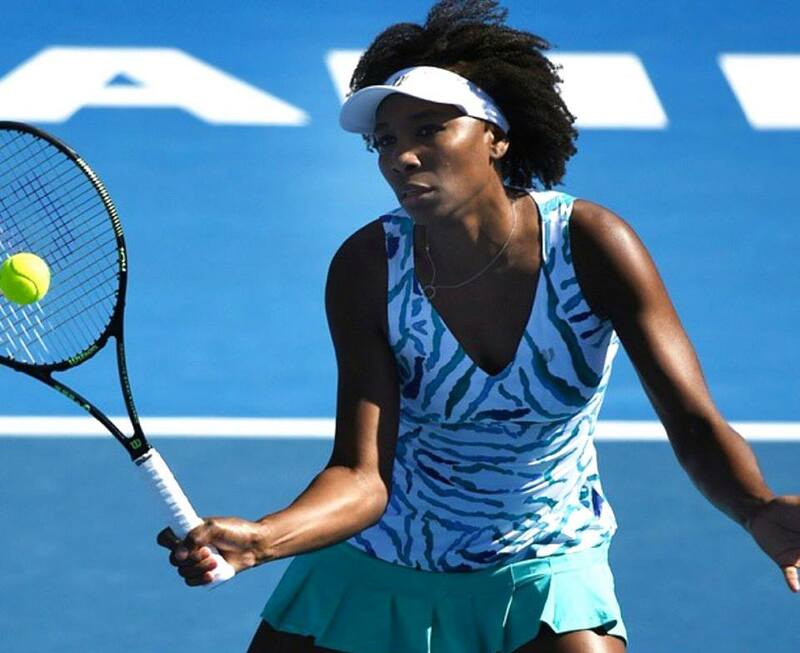 Combining focus, fierce determination and heroic physical prowess, she spent her teenage years clawing her way to the top-ranked position, winning numerous championships and breaking records. 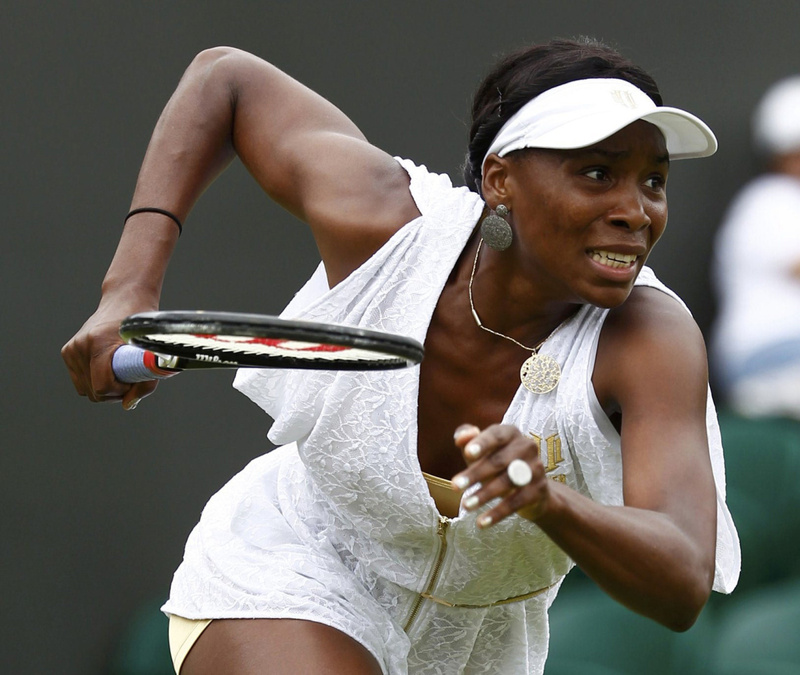 To date her universally feared 129 mph serve is the fastest ever recorded in women’s tennis. 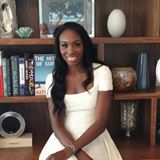 We tracked Venus down during her crazy training season to see just what it takes to build an unshakeable confidence on and off the court. My story really starts with my parents. They gave us all the skills, not only me, but I have 3 older sisters and one younger sister and they gave us all the skills to do what we do today. Our parents were a huge influence on all of us, family was huge for us, it still is. It’s been our base, we were told that our sisters are our best friends. So it was a family of women, 6 against 1. So we had the majority vote most of the time, I don’t know how he did it, but my dad really had a philosophy about things. He really gave us this entrepreneurial kind of mind and really did a lot. My mom was a lot about balance, she’s extremely determined, a super nice person. My mom gave us that spiritual balance and just really a wonderful role model as a woman for all of us sisters. And together I think they really balance each other out. When one of them was being too hard, the other one was, you know kind of taking up the slack. At what age did you first pick up a tennis racket? I was about 3 years old when I first started playing. 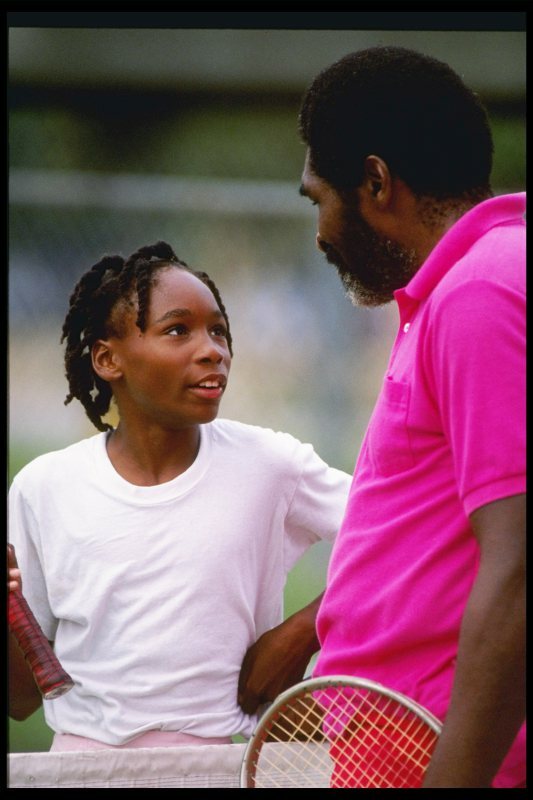 My dad had a vision that we would be great tennis players, and he read books about the game and taught himself. He then starting teaching us, and I loved it and was good from a young age. What do you love about being on court? The competition and knowing that when I play well I will win. And I want to be ahead of the curve. 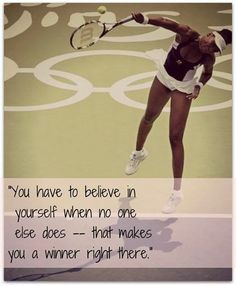 We believe confidence is a critical element to women’s success and you certainly show it on and off the court, is this something you’ve always had, or have you earned it? Confidence comes with preparation and meeting your goals. It also comes through the journey of success. I believe to gain confidence, sports are instrumental, I encourage all young people to play sports. Of course it benefits everyone, of every age, but when you’re young it really teaches you these lessons of how you can push yourself, setting goals, achieving them, when you have a setback, really evaluating why and then making those changes to be successful. Those are lessons in life that are so invaluable. At the time when you’re a young person you don’t really realize, per se, you’re learning those lessons, but it’s really set in this pattern in life of hard work and dedication and learning and getting up when you fall down. In business, we often call those who help us advance a champion. Would you say your father has been yours? My family is my champion. 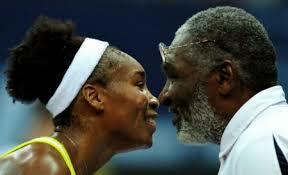 They are my coaches to this day, they are still working with us. My dad was usually on the court, but my mom would come out too. And if you know anything about my dad, you know that he can be this outspoken guy at times. He’s kind of calmed down a lot in the last few years. And my mom is this person on in the background smiling and you always see her clapping when there’s a good point even when the opponent won and sometimes you see her falling asleep in the stands (Laughter). What are the most important lessons you’ve learned along the way to the top of your field? 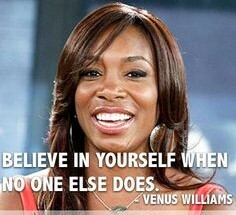 First and foremost: Always believe in yourself! But there are a number of great lessons I’ve learned over the years. CREATIVITY: There are always people who change the game. Steffi Graf and Monica Seles blew everyone off the court in their time. 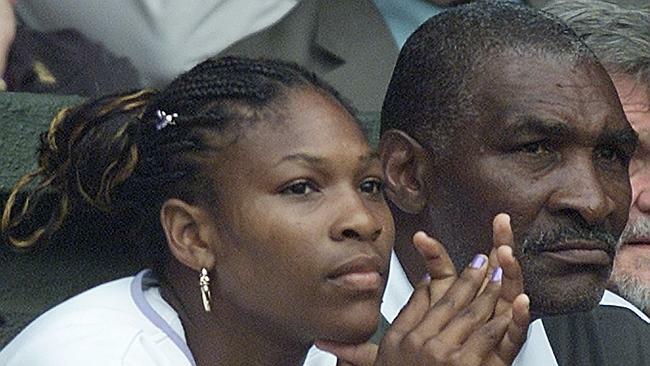 And the next wave, Serena and I were privileged enough to bring a new kind of power game… And really they say Serena and I changed the game, but it was actually my dad behind the scenes who changed the game with new footwork. It’s amazing what can be done when you approach the same thing but with a new solution. HARD WORK, my parents taught us by example. My dad taught us a lot of hard work and most of all, is not to be afraid of hard work. You can’t be afraid to get in there and get your elbow wet. And you got to enjoy the challenge, just enjoy the battle. DETERMINATION is extremely important. One of my mottos is, there’s always a way. There’s no such thing as not a way. I’m going to find a way and in my life I have never not found a way. So one of my mottos which I would like to share with you and then you can make a part of your life also is find a way. One of the most important things is to LOVE WHAT YOU DO. There’s nothing better than getting up in the morning and knowing that you love what you do that day and you’re ready for that challenge and you’re going to embrace it and you’re going to enjoy that battle. VISUALIZATION was a huge part of what we did. And I use those techniques off of the court too and maybe its not necessarily complete visualization, but a lot of it would be writing down my goals. Really be preparing for what the next step might be. 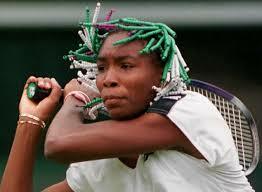 Venus Williams proudly displays her wares for winning her first of five Wimbledon women’s singles title in 2000. My latest thing now is know the play. One of my strengths as a player on the court is I know the play. Even though I seems like this really tall, big, dominating bully on the court that I’m just over powering people in the back of my head I am taking in all these different things that are happening on the court at that moment. So if one person hits the ball on me and ok great shot, but I am kind of watching to see if they will do that again and if they do it a second time, then that’s the play. I know the play. I know what they’re doing. 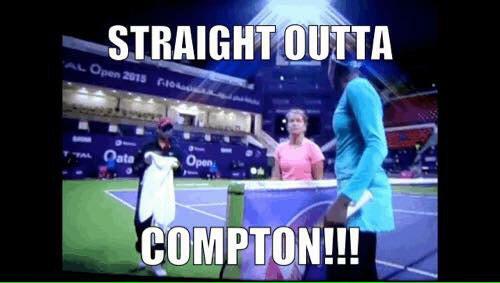 I know who my opponents are before they one on the court. I know what I’m up against and I’ve prepared 110% before I get out there. And if I have something that’s kind of going against me like an injury per say, how do I combat that, how can I be prepared to be ready for that kind of thing. Injuries have always been my biggest obstacle. We had a really good balance growing up. My dad he was very… he was really interesting, there’s so many stories. If you read my book Come to Win there’s a lot of them in there about how my dad would teach us. But what I recall the most is my very first job was at 3 years old (Laughter) I know it’s not child labour (Laughter) but he had us delivering phonebooks, as a family we all had to deliver phonebooks. From the very beginning he had us working and instilling these values of hard work and really knowing that you have to do something for yourself and you start right from the very beginning. What does life look like after tennis? Today, I can say that I absolutely love what I do, I love tennis, I love design, so that makes it easy for me to be motivated. My parents taught me to be really well-rounded and to be more than just an athlete. In my late teens, I realized that I love design and it was something that I wanted to pursue. 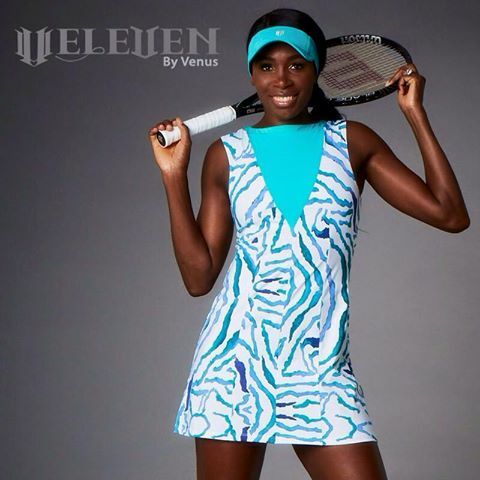 So life after tennis I will be furthering my clothing and interior design companies, EleVen and Vstarr Interiors. What do you hope aspiring female athletes and emerging leaders in any field learn from you as a role model? Stay true to yourself, and always believe in yourself and what you’re doing, no matter what others might say. 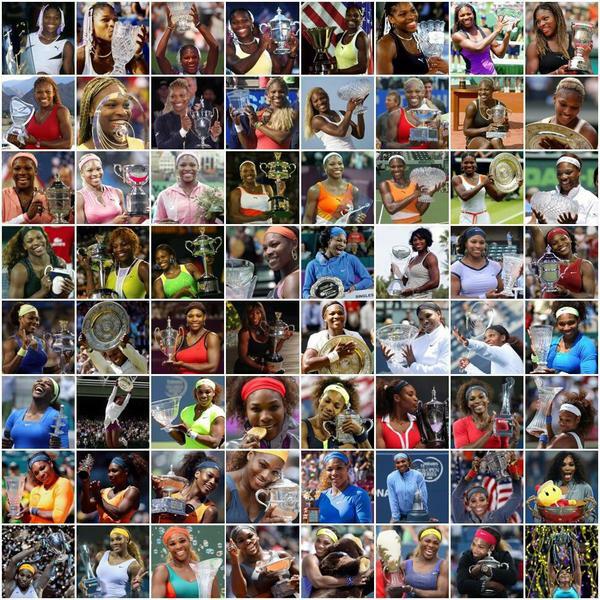 With 19 Grand Slam trophies already crammed into her house, who would even notice an Oscar? 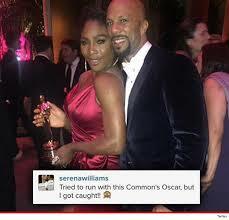 Not satisfied with 19 Grand Slam trophies, when Serena ran into her ex-boyfriend Common she took his newly acquired “Best Song” Oscar won for Best Original Song for the movie “Selma”. 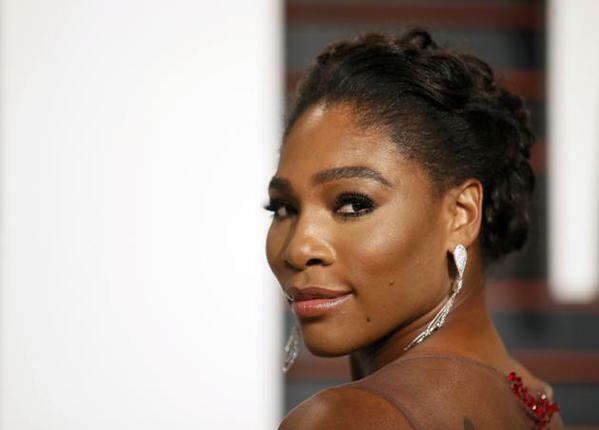 Serena Williams arrives at the Vanity Fair Pre-Oscar Party with lovely sister Isha. 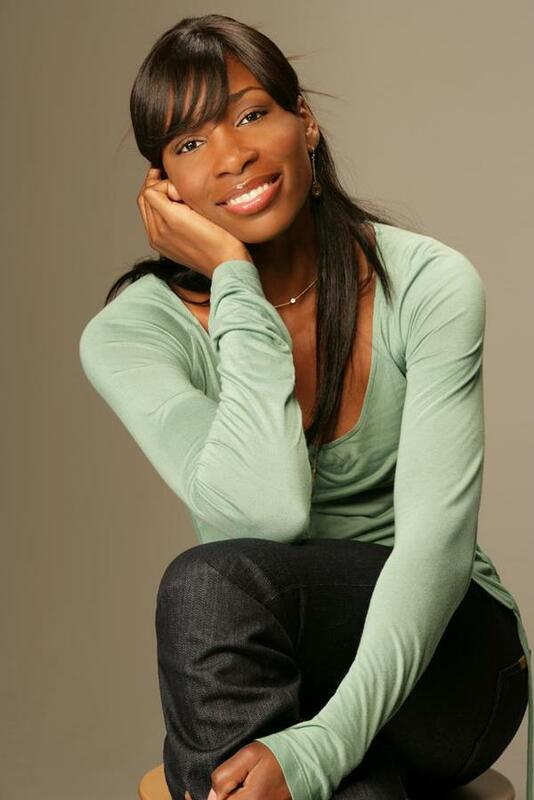 Venus Williams founder/owner of VStarr Interior Designs: Feature in Coastal Living Magazine. 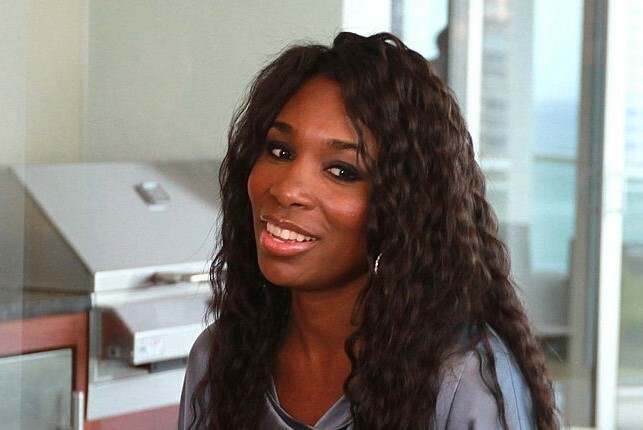 Business Insider lists Venus, a seven time Grand Slam Title holder and former World #1, along with seven other athletes as winning entrepreneurs. Athletes who brought their competitive drive and get-it-done mindset to the world of business, and succeeded in winning on a different kind of turf. and interior design company, V Starr Interiors. “I think as an athlete you’re always overcoming all kinds of challenges.